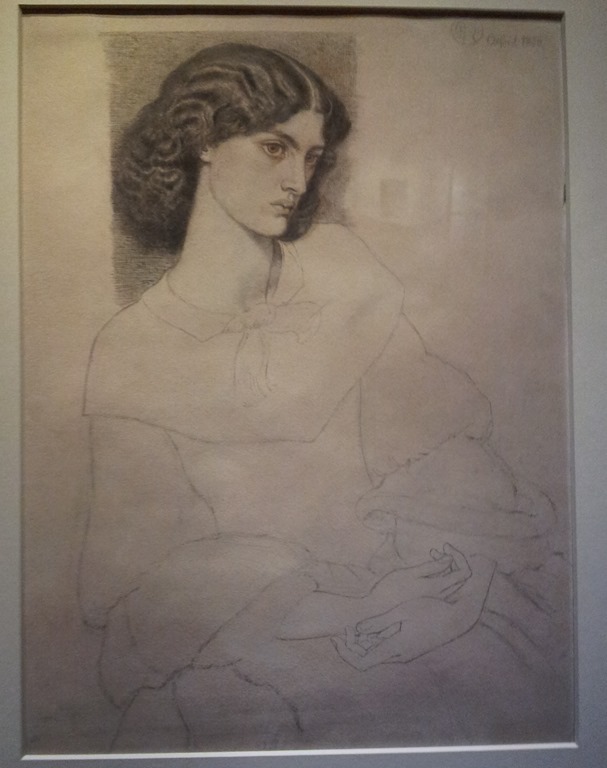 The exhibition included works going back to medieval times, but I was particularly taken with the above drawing by Dante Gabriel Rossetti, of his muse, Jane Burden, who later married William Morris. 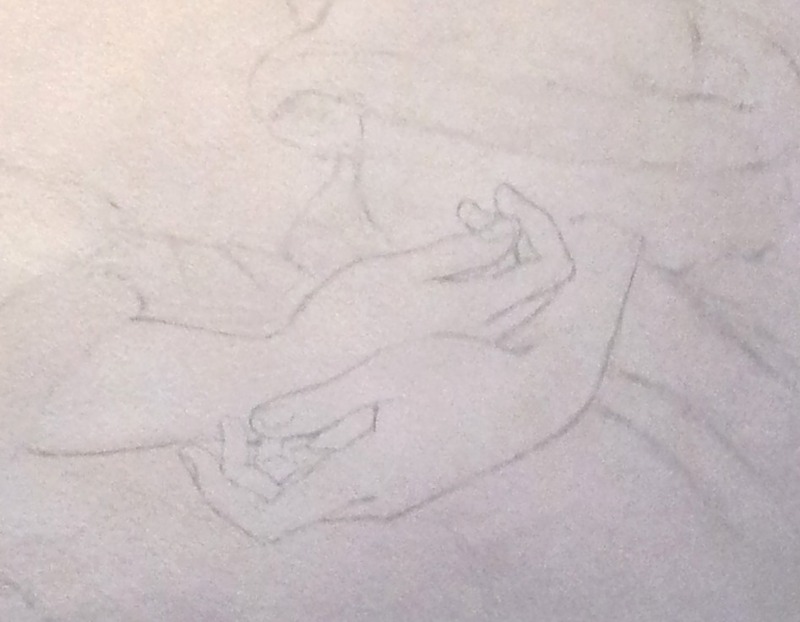 He has lavished particular care to drawing her head and hands which are portrayed in very fine details, while the rest of the body is very sketchy, drawn with only a few light lines. I guess it was a preparatory sketch for one of the many paintings he did of her. The information accompanying the drawing told us that it was drawn in ink and graphite with a wash with white highlights. It’s a good likeness, if a little idealised. I particularly like the way he has drawn her hair. I think that many artists, even some great ones, struggle with drawing hands, but not Rosetti as here he has really captured them. Janey came from a fairly ordinary background. Her father was a stableman in Oxford and she was spotted by Rossetti and some of his circle when they were in the city. She ended up marrying William Morris, but Rossetti was pretty much obsessed with her and they had an affair from 1865 until his death in 1882. This drawing is dated 1874, the year before she married Morris. Rosetti certainly had a thing for his models. He’d previously been involved with Lizzie Siddal who he’d married and who died in 1862. A talented painter herself, she modelled for a number of paintings by the pre-Raphaelites, including Millais’s famous Ophelia. There’s a good article about Janey, and her relationship with Morris and Rosetti,here. This entry was posted in Art and tagged Art, Dante Gabriel Rossetti, Dublin, Irish National Gallery, Jane Burden, Janey Morris, Pre-Raphaelites, Rossetti, William Morris by ms6282. Bookmark the permalink. I`m always amazed to read how freely some of the artistic community were about sharing their passion for each other! Yes, amazing hair detail here. Makes me wonder how he did that.